Your project can be configured to automatically assigned a Target's manager as their Auditor. In this scenario, auditors will be assigned based on the first manager that the Target enters on their list of Raters. Turn ON the feature to "Use Manager Rater as Auditor"
***Make sure that your manager relationship group is setup as a manager group, from the drop-down menu, select Setup >> Relationship Groups. 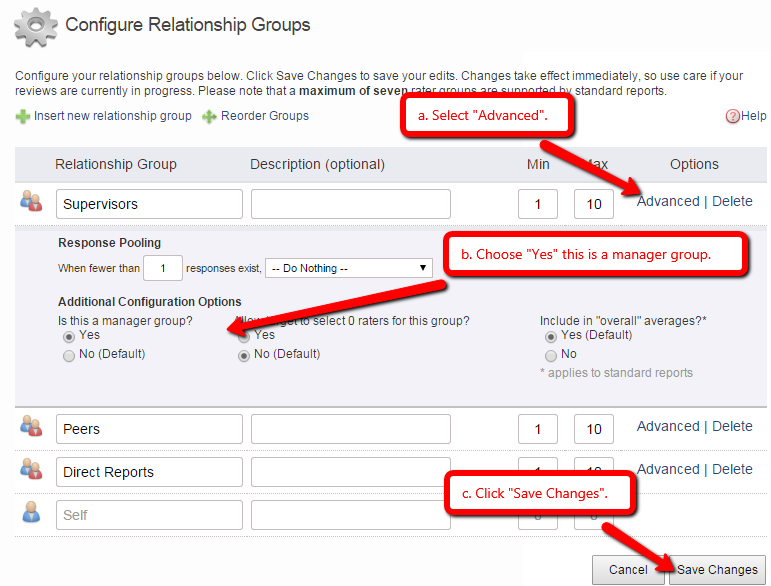 Click the advanced link to the right of the relationship group name and make sure the Advanced Configuration "Is this a manager group?" is set to YES.